When a dimension is already placed in a drawing, it is highly desirable that new dimensions are aligned with it. To achieve this, roll the cursor over the existing dimension. 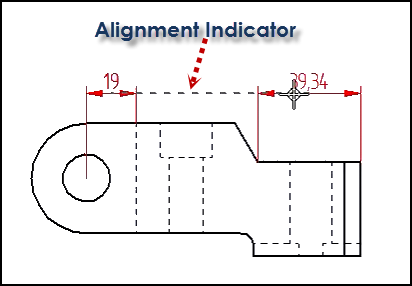 A dashed line will appear as an alignment indicator. 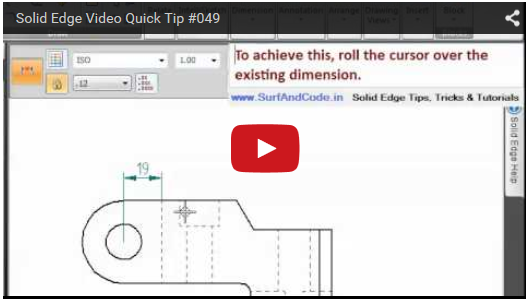 Move the cursor to the desired location and click to place the dimension. The new dimension will now be aligned with the previous one. The alignment persists too. When one of the dimensions is moved, the other one is also displaced to maintain the alignment.